When you are filling out your tax returns this year, you may be surprised to realize that you've been hit with quite a large penalty without realizing it. Since this will more than likely be because of a failure to pay all of your taxes, this is what is called an underpayment penalty. To figure out why you may have gotten this underpayment penalty, we first need to look at what it is and what can cause it. There are also a variety of ways to avoid getting hit by this penalty, so it's also worth exploring what you can do to make sure that you don't get hit with it in the first place. After you calculate and pay your tax after subtracting how much you've withheld or paid through estimated tax throughout the year, the IRS will then compare that to how much you should have paid. If they feel that you have underpaid your tax for that year, then you'll be held liable for a penalty. This penalty is normally one of two things, whichever is the least amount. The first of these is 90% of the tax that you should pay for the year, or secondly 100% of the tax that you paid the previous year. It should be noted, however, that some occupations are eligible for a reduced rate on these penalties. These include the likes of a farmer or fisherman, who'll receive a penalty of 66 2/3% instead of 90%. There's also the fact that if you're not either one of these and your income is higher than $150,000 or $75,000 for married filing separately; you'll be charged a penalty of 110% instead of 100%. 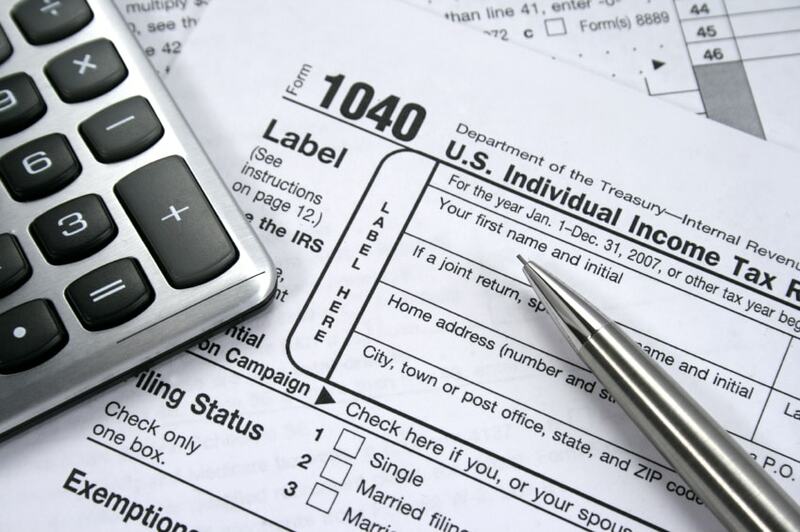 The IRS has issued the Form 1040ES to help people calculate how much tax they should be withholding or making in estimated payments on income that isn't subject to withholding. With the information that you'll see on this form, you should be able to calculate roughly how much tax you should have to pay for the year. While this can be pretty complicated, it's essential to stick with it so that you can know the rough amount of tax you should be paying. If it turns out that you've ended up over-withholding or over-paying, then you'll either be able to adjust your payments or be eligible for some form of a tax refund. Because of that, it's always worth figuring out how much you should be saving for your taxes. Once you finally get the hang of calculating them, it should come relatively easier every time you have to do it. With that in mind, you'll end up saving a lot of time and effort in the long term. When it comes to avoiding the underpayment penalty, there are a few options available to you. The first of these is to calculate how much taxes you should be paying, as mentioned above. The second step to this is to pay a quarter of this amount at four specific intervals every year, namely on April 15, June 15, September 15, and January 15. You should also make sure to postmark these payments either on or before the due date; otherwise, you risk being liable for late fees. Another way to avoid the penalty is to take an IRA distribution and have your taxes withheld from it. While only a few certain groups are eligible for an IRA distribution, it's worth taking it up if you are eligible. Instead of having to pay estimates four times a year, your taxes will instead be withheld from your distribution. This lets you avoid all the hassle of arranging payments while also ensuring that you're paying the right amount of taxes. Because of that, it's probably the easiest way of paying your taxes. As we already mentioned, however, there are only a few specific groups that are eligible for it. It's worth looking into whether or not you're eligible for it. With all of that in mind, it's always worth staying on top of your finances, especially when it comes to taxes. Next to mortgage repayments, it's one of the most important payments you'll have to make regularly, which is what makes it so important to pay on time and in full.